The saga continues! I am sorry to say that Google Books no longer has an extended preview of the book (makes sense, really) so I can't link to it anymore. But, as I have said before, the book is well worth the money. 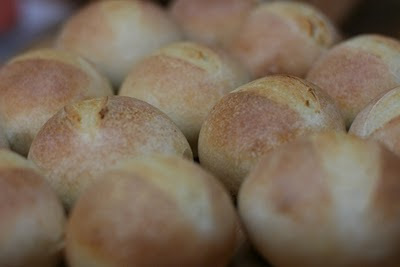 I have blogged about this bread before, so this time I made sourdough rolls. They are the perfect accompaniment to stews and soups, and I used them as the bread for the stuffing for my Maple Apple Cider Tofu (perfect for the holiday season!) It makes a great stuffing--complex flavour and chewy texture.